With its grimy snow and slush slowly melting to reveal mud and dormant grass, March is not my favourite month. Anticipation makes things more enjoyable. Like when you look forward to eating some good chocolate at the end of Lent and finally savour that melt-in-your-mouth candy. At this time last year, my husband and I were anticipating joining the Church and receiving Holy Communion at the Easter Vigil, after months of RCIA preparation. Not only did I have the joy of receiving the Eucharist at Easter, but I also felt a new sense of belonging as many people told us how happy they were for us. I’m more involved in the life of the parish now: I’m a lector (I’ll be reading at the Easter Vigil) and I’m helping out with First Eucharist. This year, I’ll see the anticipation in the faces of our RCIA candidates at Easter and the excitement of the Grade 2 children as they prepare to receive the Eucharist for the first time in the weeks that follow, and the joy all of them will take in participating fully in the Mass. But what comes after the Easter Vigil or First Eucharist? I hope that anticipation gives way to joy at being able to receive the Eucharist, where Jesus is truly present. I hope people would choose to take an active role in their parish by volunteering, supporting parish initiatives and attending social functions. I hope faith would be part of their daily lives and not something saved for Sundays. I pray that we would look forward to welcoming the newest members of the Church at Easter and encourage the children celebrating First Eucharist—and that God would guide the cardinals as they prepare to choose the new head of the Church. 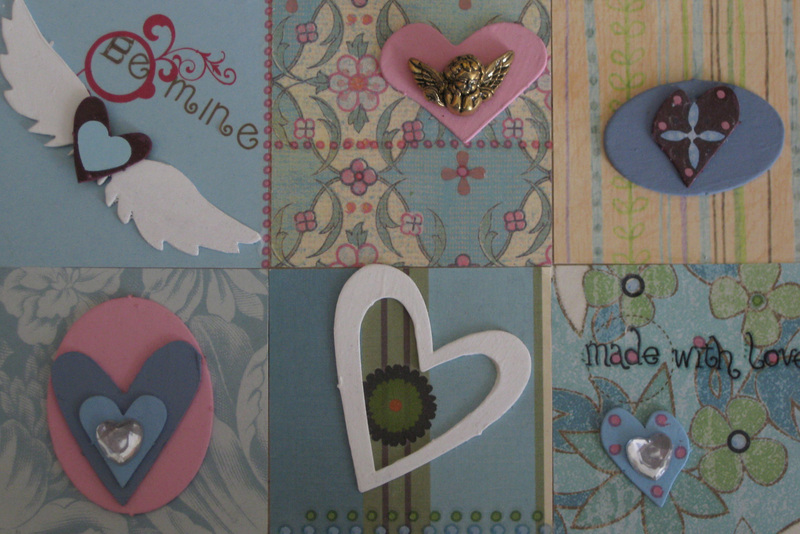 “Be Mine.” The message in Valentine’s Day greeting cards is usually some variation on this theme. However short but sweet or long and flowery it may be, though, the sentiment is never a book-length message about the sender’s love. Okay, not funny. More like life-changing. As the site name tells you, I haven’t always been a Catholic. Baptized, confirmed and married Anglican, I attended an Anglican church for years, some of that time with my husband. Then we joined a non-denominational congregation for a couple of years. Returning to Ottawa from southern Ontario meant finding a new place to worship. Lent 2011 found us at a local Catholic church. We knew many of the prayers and hymns. But the congregation actively participated in the service by sitting, standing, kneeling, making the sign of the cross, praying and singing. Candles on the altar, votives in the chapel, icons, statues and stained-glass windows added to the atmosphere. Worshipping in this church involved all the senses. We enjoyed the service and decided to return.